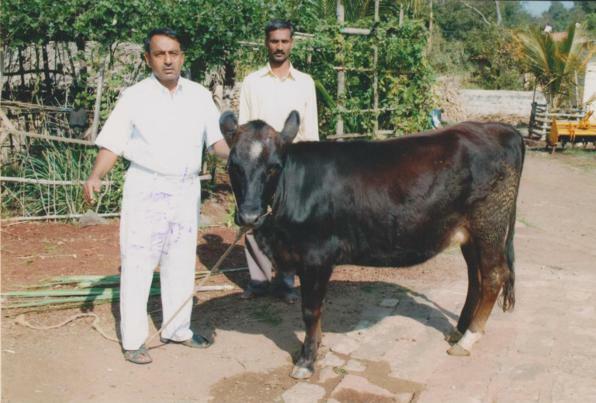 Anandrao D. Patil (Chuyekar) Dugdh Vyawasaya and Animal Husbandry Training Center, Tarabai Park, Kolhapur. 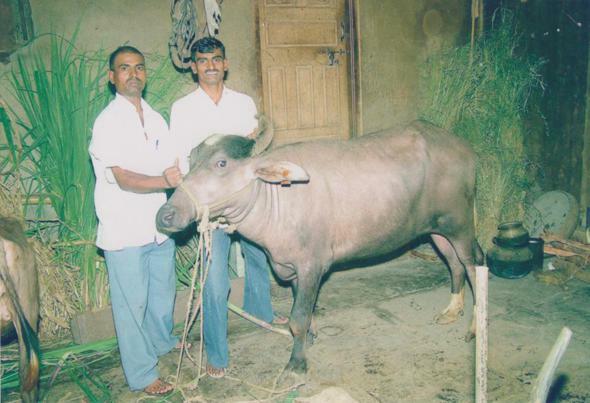 The training center established in assistance with National Dairy Development Board under the Operation Food Programme and started functioning from 1984. The importance has been given to training Human Resources and extensional aspect as well as Institution all Building in the operation flood programme. 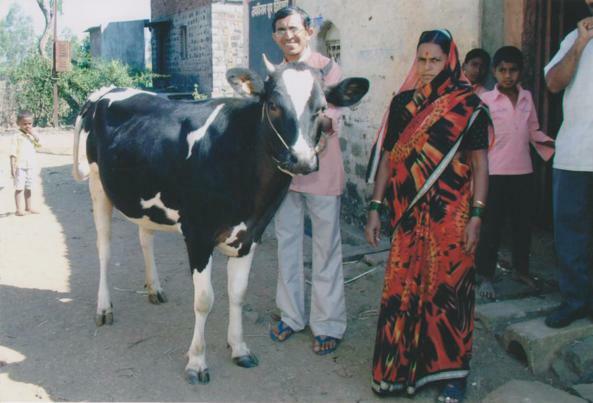 In order to strengthen & spread out the advanced technique in milk business to the rural milk producers, It is essential to impart the training to the members, management committee members as well as to the worker of the Dairy Co-op. Societies from time to time to bring socio-economical changes. Reduce knowledge gap of DCS staff and milk producers. To sustain the Dairy Cop-op. 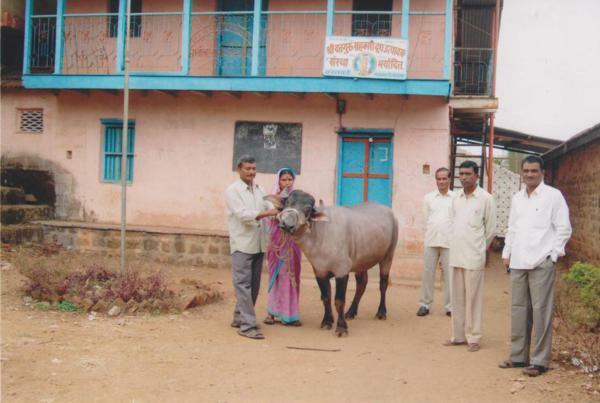 impact in Kolhapur Milk shed. Improve production and clean milk production of DCS and Milk producers. To organize filed training to realize that How to improve person al knowledge, skill and techniques of A.I., Milk testing, milk collection and DCS organization. 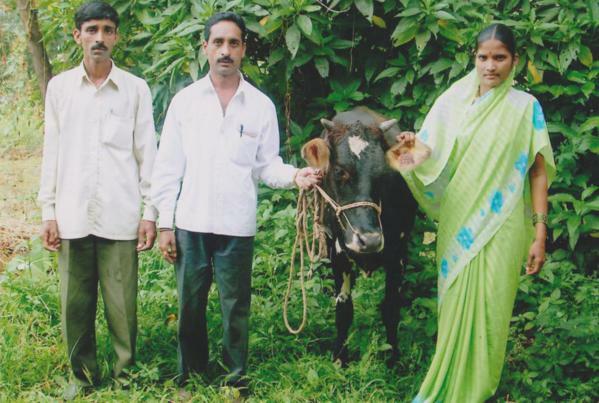 Self help and personality development through dairy business. 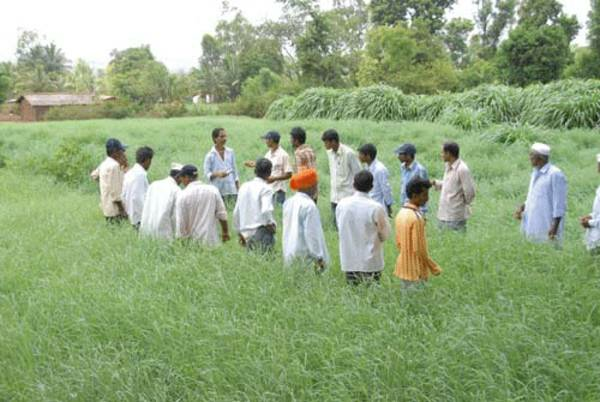 To organize educational excursion to sustain impact of extension i.e. seeing is believing. » 2 Class-rooms for 30 trainees each. » A conference hall accommodating 150 trainees. Due to the quality training and management this training center recognized by N.D.D.B. as Regional Training Center since 1986. All the milk unions in the state, the members of management committee of DCS, the secretaries, milk producers are certainly benefited by the training activity of Gokul. The details regarding the training that is being given in the training center at Tarabai Park, Kolhapur are as follows . This training imparted to DCS Secretary for Financial dealings like making receipts, vouchers and keeping daily accounts, maintaining topic-wise registers, Trial Balance, Profit and Loss, Balance Sheet, records of business DCS, information about milk dairy business, a practical survey by field study and collection of Anand Pattern data. The secretary gains confidence as he maintains the balance sheet etc. by himself. He finds out the reasons for losses and their to achieve profit for his society. He follows scientific Anand Pattern working system. Principles of co-operation, principles of management, encounter to laws, Ananad Pattern, monthly and annual meetings, proceeding writing, secretarial responsibilities of ideal society, milk and milk components, production of clean milk, maintenance of animals, difficulties in collection of milk and remedies over it, feed process, information about cattle feed & Fodder Production, a record of society, the function of milko-tester, auditing and its rules, a visit to the DCS. The secretary handles by himself the planning of the work, proceeding writing etc. He improves the status of the DCS by keeping good relations with panch committee and milk producers. This training is useful to DCS Secretary and Milk procurement supervisors. Same as number 1 and 2 above. 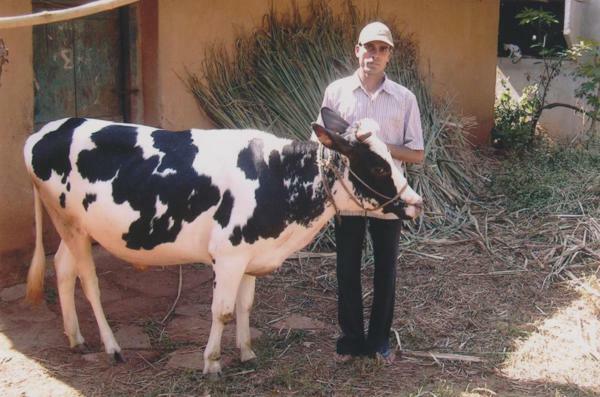 The objective of this syllabus is to make all the service and facilities available so as to achieve good results in milk dairy profession by using the new techniques to minimize the cost and to increase the production of milk to its maximum level. 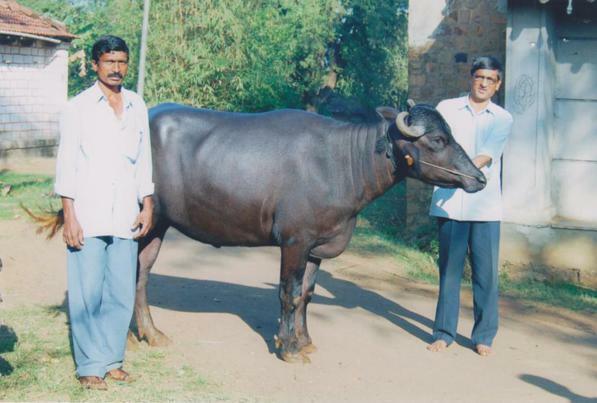 Sampling and Testing of producers DCS milk in scientific way. Codes of co-operative basis, Anand method, milk and milk elements, production of pure/clean milk, information about the procedure of milk testing, practical of Chemical Preparation, a visit to DCS to get information, self-introspection and co-relation with others, self-study, different systems of milk testing, a visit to the DCS for a filed study. It is essential to improve & maintain the best quality of milk of DCS. 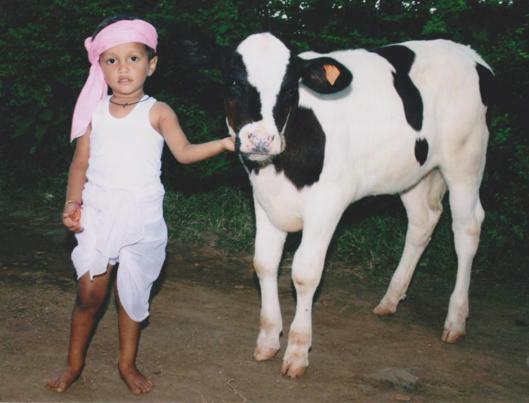 A care to be taken while procuring clean Milk on Anand Pattern. With standard stamped equipments for proper system of collection of milk. 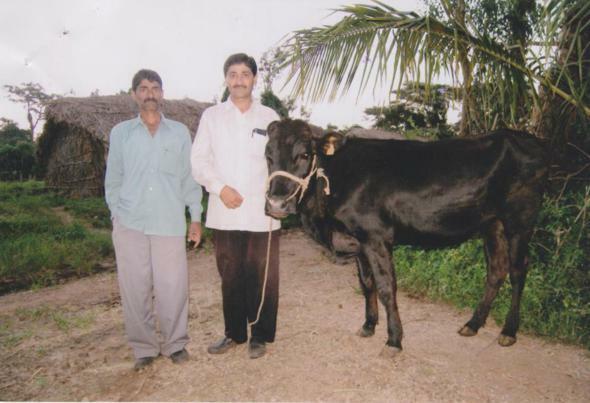 An art of communication with milk producers, self-introspection and co-relation with others, learning systems of collection of Milk, a visit to the for a field study to collect information through self study. 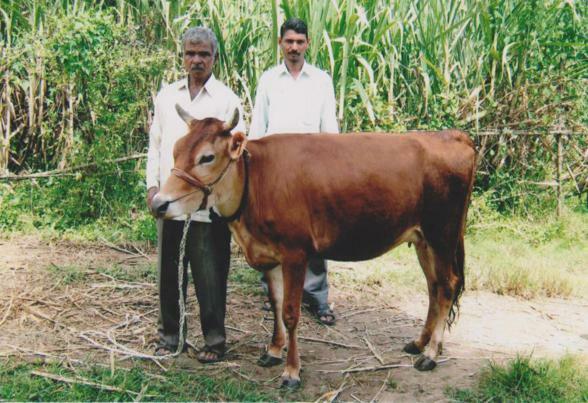 Accuracy in milk collection at DCS level to improve the faith of milk producers. Dairying as a profitable business, three tire system of co-operative business, Anand Pattern, Clean milk production, a selection of healthy Cattle, diseases and first aid treatment of cattle, an artificial insemination, balanced cattle-feed, communication with farmers, a visit to the DCS, a visit to the ‘Gokul Project’, personality development, towards economical milk Production. 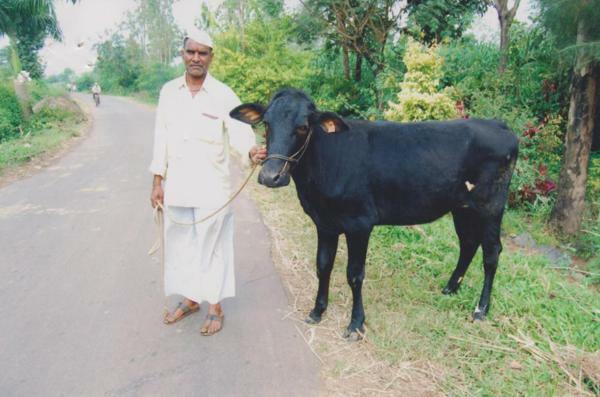 Economically profitable Milk production and good animal management. The law of co-operative management societies, the principles of co-operative societies, Anand Pattern, the procedure of meetings, importance of meetings, participation in meetings, and Grass & fodder cultivation, kinds of cattle-feed, reasons of reduction in milk quantity, its remedial measurers, achieving clean milk production, animal husbandry, a visit to the DCS, A visit to ‘Gokul Milk Dairy Project’ to get information about service and facilities provided by the Kolhapur Milk Union. Trainees learn how to make the DCS economical viable, to check records, to increase profits, to find out reasons of deficit, to control the administration, Audit rectification etc. Importance, advantage and disadvantage of artificial insemination, method of AI, Female reproductive organ, (Information and practical of handling reproductive organ brought from slaughter house and live animals), Preparation of AI Gun, container handling, pregnancy diagnosis its methods and importance of infertility its causes and prevention, how to improve conception rate, record keeping etc. 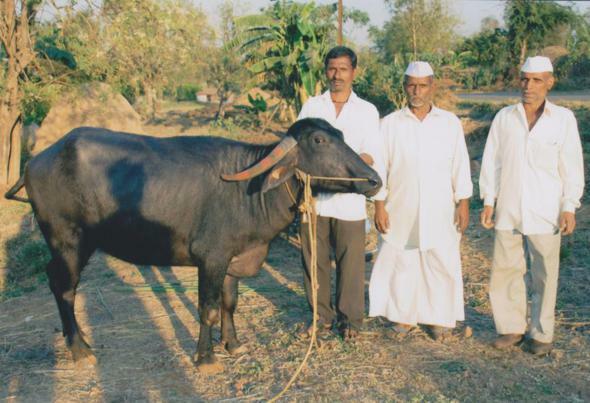 Breeds of cattle and buffaloes, Management of cattle and buffalo (breeding, feeding, watering, housing management) green fodder its importance, type of green fodder and its cultivation schedule, importance of calf rearing and its method. Communication skills, How to improve attitude and behaviour with milk Producer Farmers. 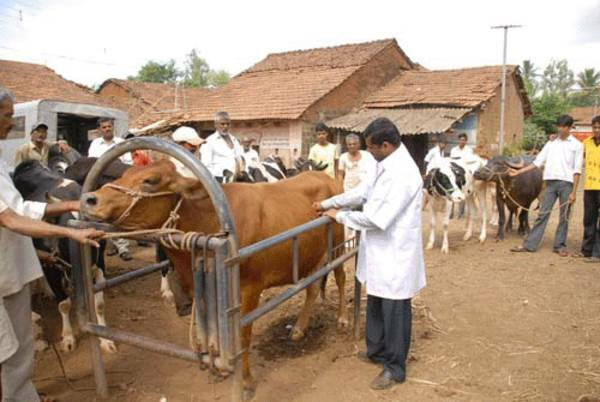 Sings of healthy and ill cow, method of clinical examinations, commonly used first aid medicine, common diseases and its first aid, common infectious diseases and its prevention, importance of vaccination and precaution during vaccination. 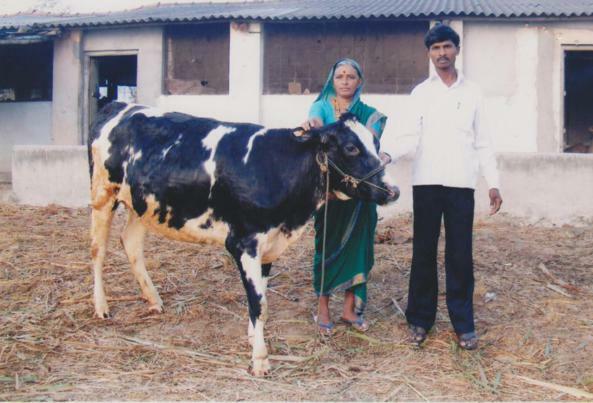 Trainees learn to breed the maximum number of healthy cattle in their own sheds which give an sizable quantity of milk, bringing up of cattle at less cost, economical management resulting into enhanced milk production. Subject taught are the same as number 8 above for revision. 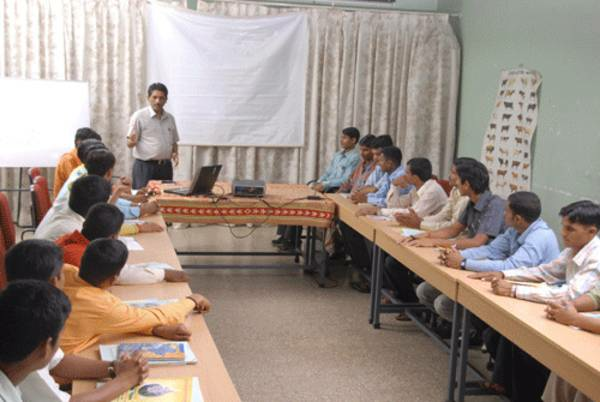 The training fees are Rs.200 per day per trainee. (25% subsidy i.e.150/- per participant of Gokul). The fees include lodging, boarding, stationery material along with tuition fee and field visits etc. Beside above training programmes, need based training programmes are also organized if demanded by other District Milk Union and state Govt. NGO’s, Z.P’s etc. or other Co-operatives. Select the crop that grows in greater quantity. Improve the infertile land and grow grass on it. 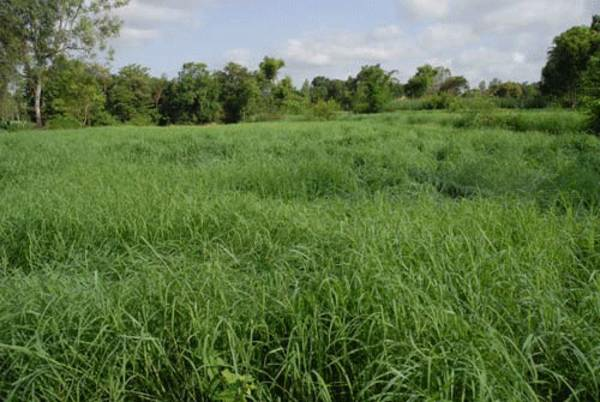 Grow the short time growing grass in between the period of two crops. Grow the grass near the house where waste is drained off. Grow the grass on the spare and shady land under the fruit trees. Grow multi-years trees or the grass on the common shared land except bamboos. 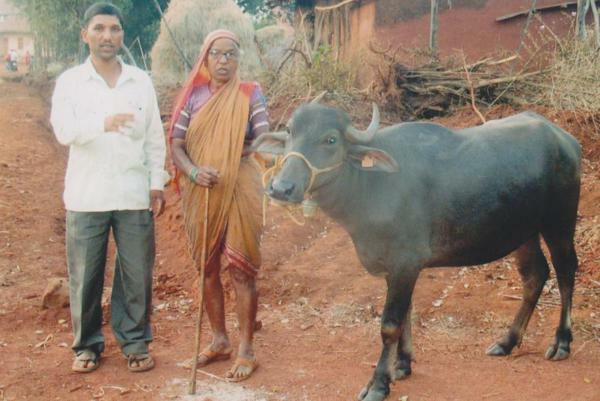 Need : Inferior fodder like rice-stems, hill grass, Gavanda etc. 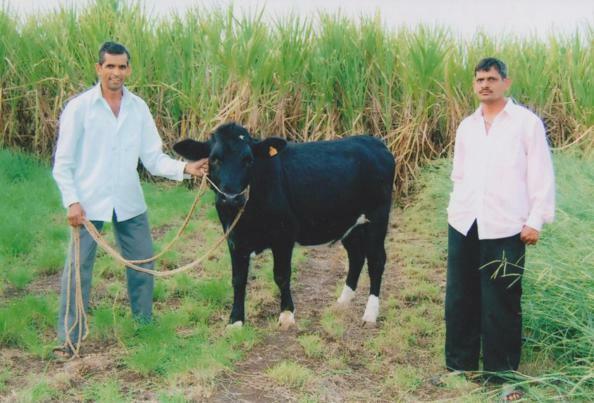 can be processed with Urea and converted into nutritious fodder. It becomes a tasty fodder. It can be easily digested. 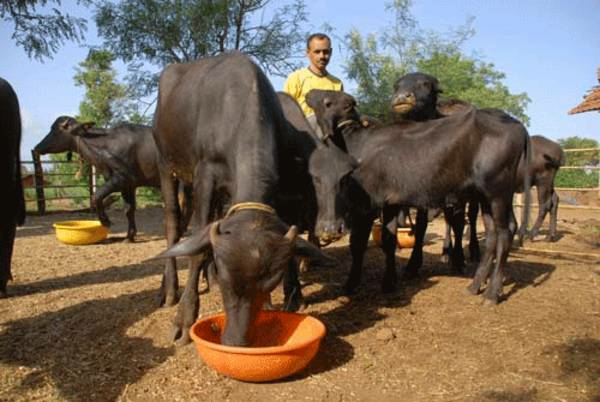 Regular feed helps to increase milk productivity and fat proportion in it. Prepare a liquid mixture with 40 liters of water and 4 Kg. urea. Sprinkle this mixture all over the 100 kg. grass fodder evenly. Press hard and cover tightly with plastic paper. The process of urea over the grass is completed after 21 days. Later on, feed this processed nutritious grass to the animals according to their need.